18ct Rolex Cellini lady’s wrist watch. Product code: 790 Categories: Sold Items, Sold Rolex Watches. This is a superbly elegant womans watch by Rolex in the Cellini range. Made in an 18ct yellow gold case that measures 24mm across x 29mm, it is a watch that can so easily be worn all the time. Fitted with the manual wind 19 jewelled Rolex calibre 1601, it runs perfect. It also comes with the original 18ct yellow gold Rolex buckle. 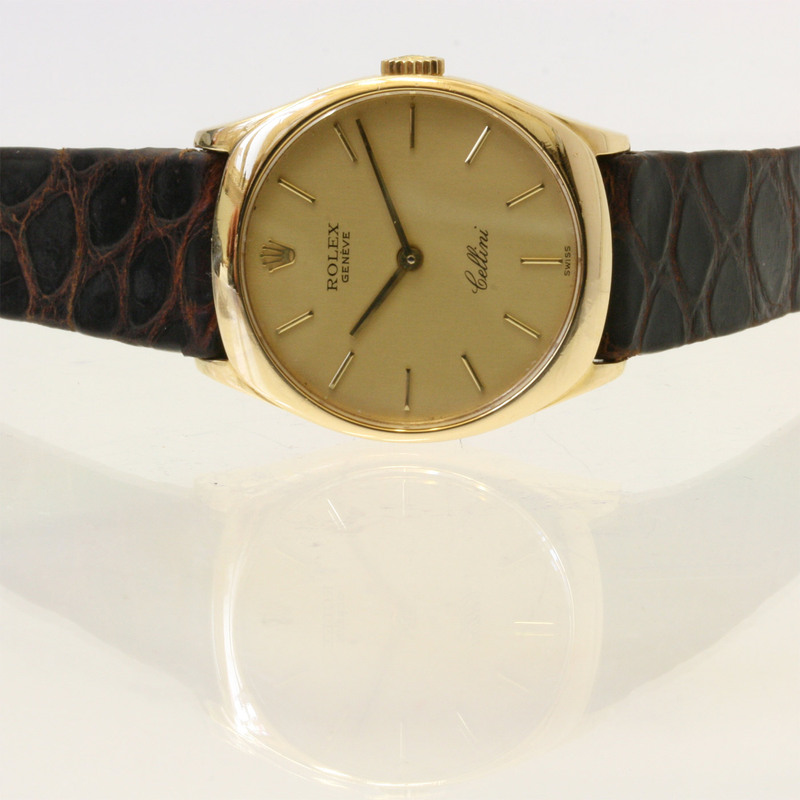 This Rolex dates from the 1980′, and is a style that will just never go out of fashion.